Greetings everybody! With the recent release of the Skylake CPUs and the Z170 chipset (…ok, not so recent anymore, I’ve been a bit slow lately since I’m very busy with school life… ._. 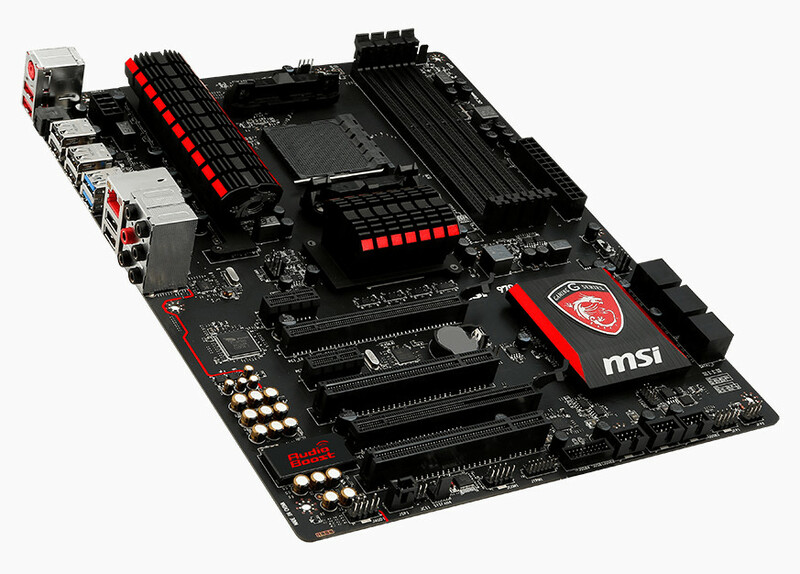 ), I’m kinda motivated to write a blog post about motherboards. I know that I have written one to introduce the Chipsets before, but this blog post is not about the chipsets, it’s about the motherboard itself. I’ll also introduce the Z170 chipset in this blog post. LGA1150: Intel socket for Haswell (4th generation) and Broadwell (5th generation) CPUs. All of the chipsets in this blog post (save for the X99) are for this socket, which include B85, H87, Q87, Z87, H97 and Z97. LGA1151: Intel socket for Skylake (6th generation) CPUs, as well as the upcoming Kaby Lake and Cannonlake CPUs. 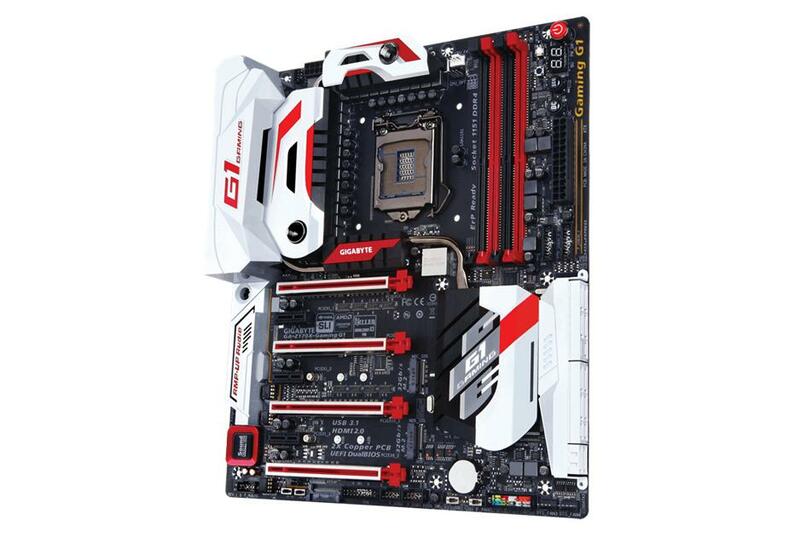 Currently, only the Z170 chipset is compatible with this socket, but the H170 chipset will follow soon. LGA2011: Intel socket for Sandy Bridge (2nd generation) and Ivy Bridge (3rd generation) Extreme CPUs. Only the X79 chipset is compatible with this socket. 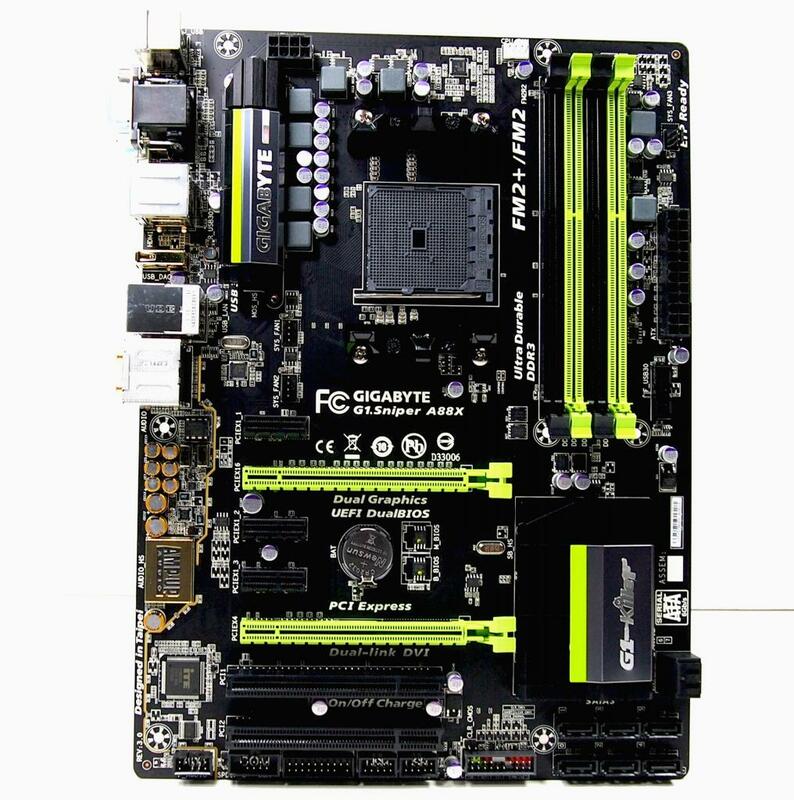 The EVGA X79 Classified, a well-known Socket 2011 motherboard. LGA2011v3: Intel socket for Haswell Extreme CPUs. 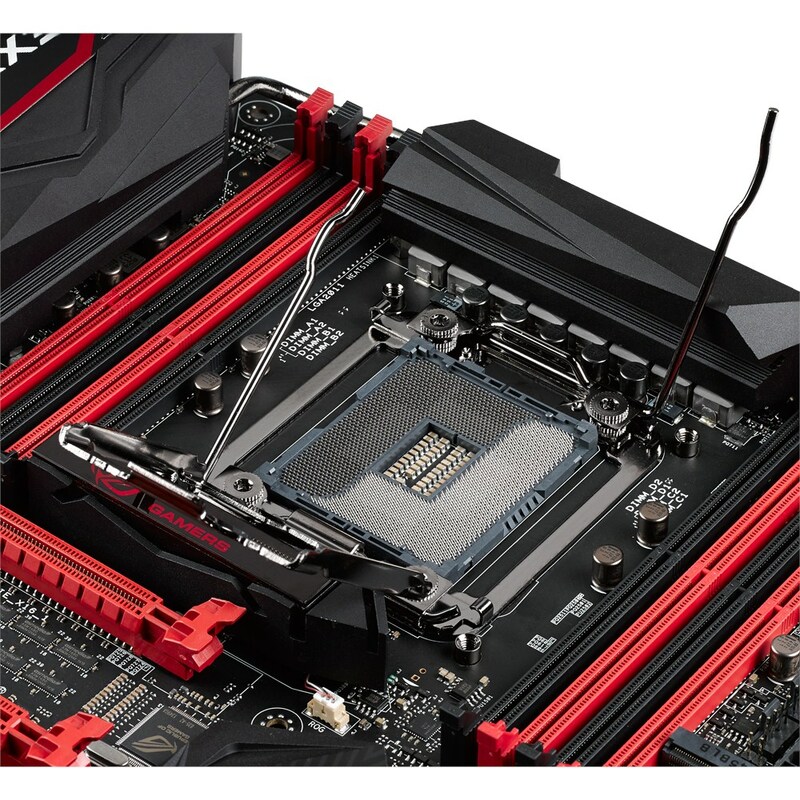 Only the X99 chipset is compatible with this socket. 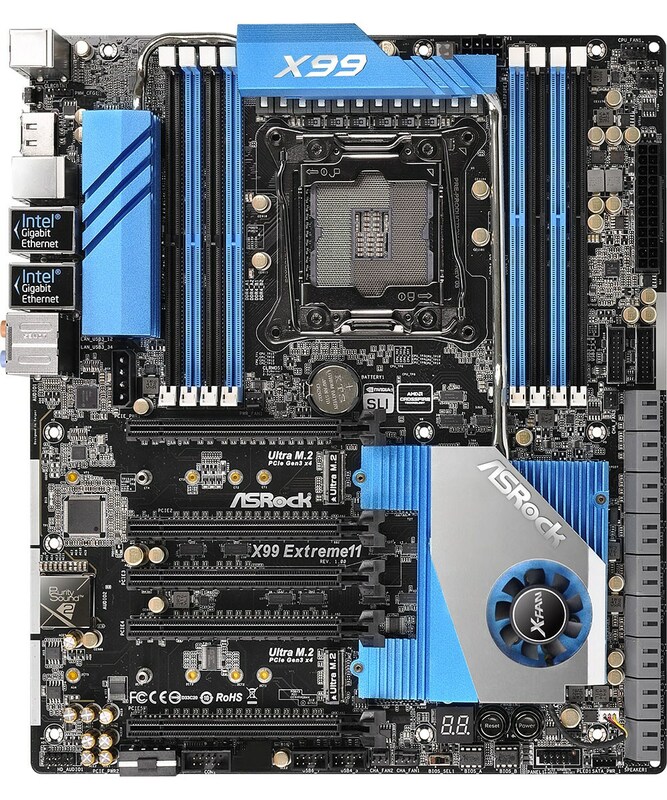 The ASRock X99 Extreme 11, the most expensive motherboard in the world as of present. AM3/AM3+: AMD socket for FXxxxx CPUs (to be honest, I’m a bit hazy about what CPUs these sockets support, but the AM3+ should be compatible with every “modern” AMD CPU). The AM3+ socket can also work with AM3 CPUs, but the AM3 socket can’t work with AM3+ CPUs. FM2/FM2+: AMD Socket for their APUs (an APU, or “Accelerated Processing Unit”, is basically a CPU with a strong onboard GPU), named Ax-xxxx. The G1.Sniper A88X with the A88X chipset on the FM2+ socket. The G1.Sniper series is known for releasing really cool boards for “minor” chipsets. 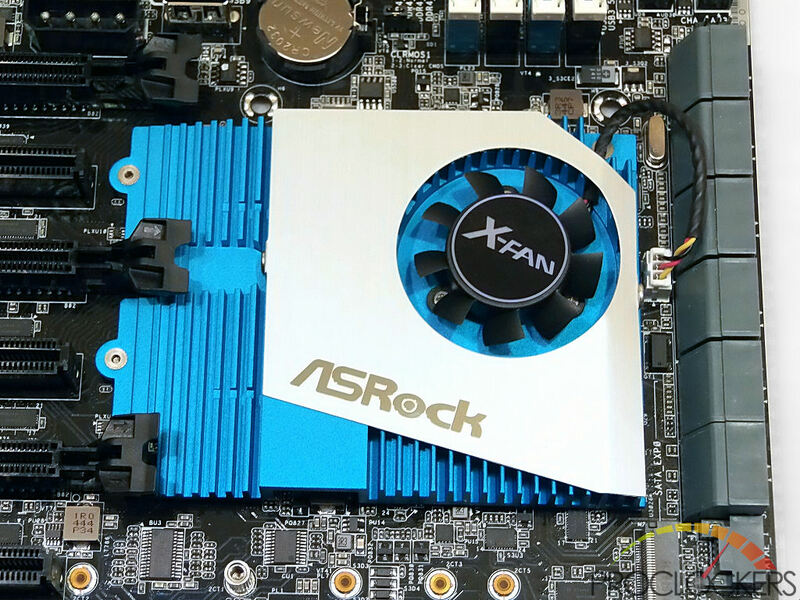 Mini-ITX: The smallest common PC motherboard form factor, for mini PCs. 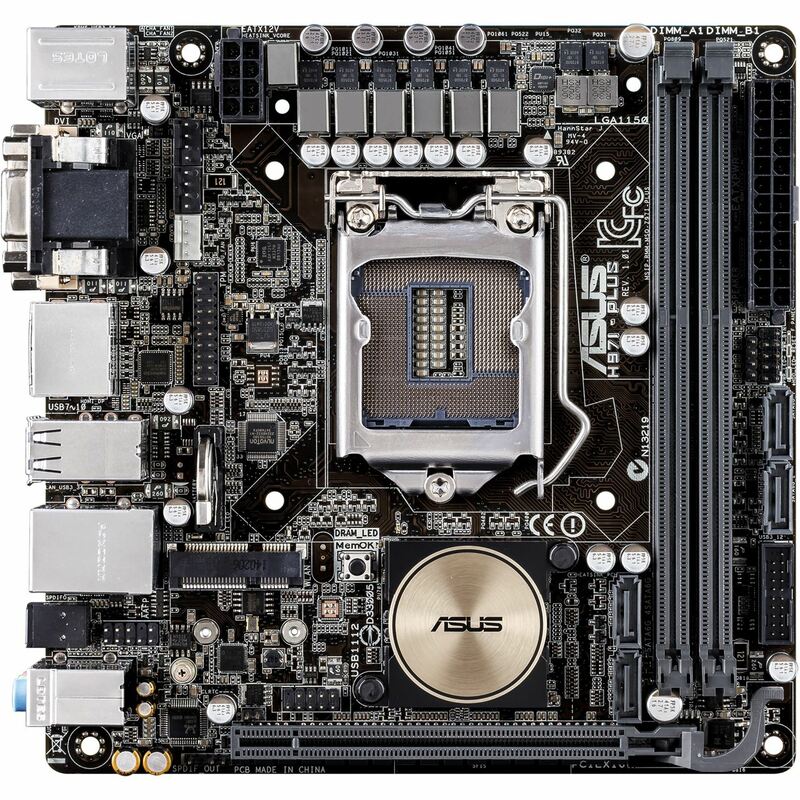 The Asus H97I-PLUS, a H97 motherboard with the Mini-ITX form. mATX: The micro-ATX is the smallest motherboard form factor for a normal PC. 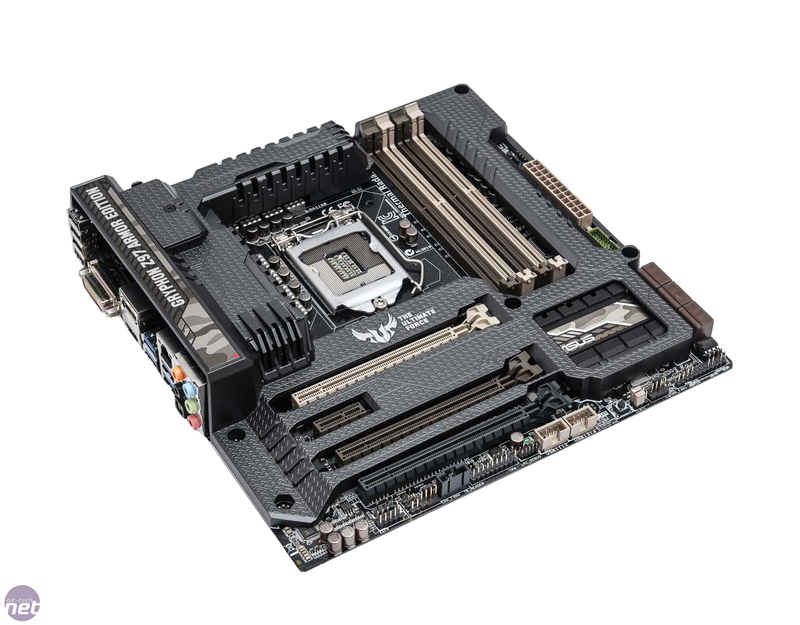 Mini-tower cases can fit these motherboards. 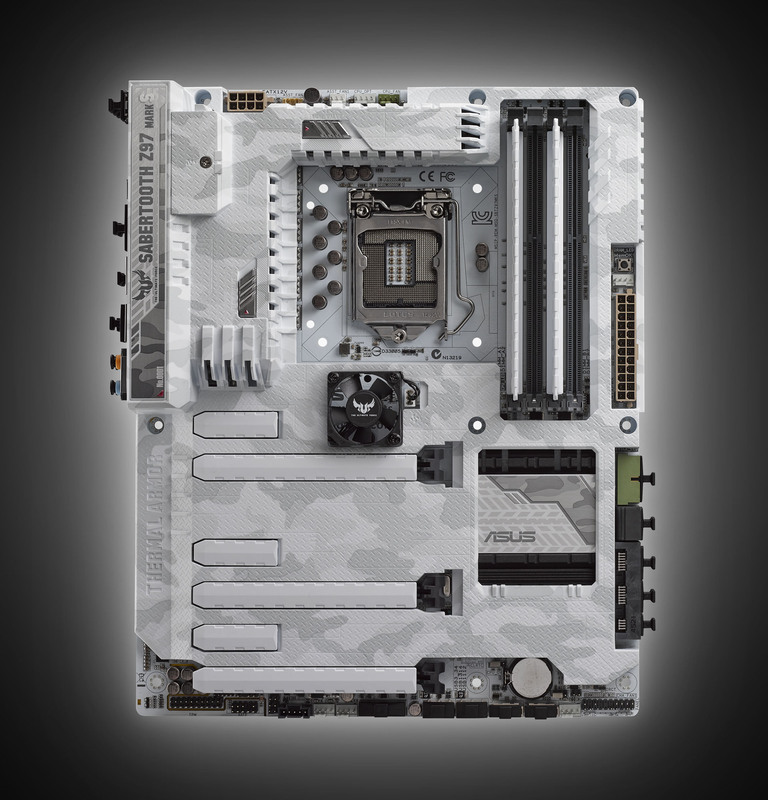 The Asus Gryphon Z97 Armor Edition, one of the most serious mATX boards out there. ATX: The standard form factor for mid-tower cases and above. Most cases that support ATX will also support mATX. E-ATX: Stands for Extended ATX. This form factor is larger than ATX and is meant for full-tower cases and above. However, some larger mid-tower cases can also fit these boards. Most cases that support E-ATX will also support ATX and mATX. 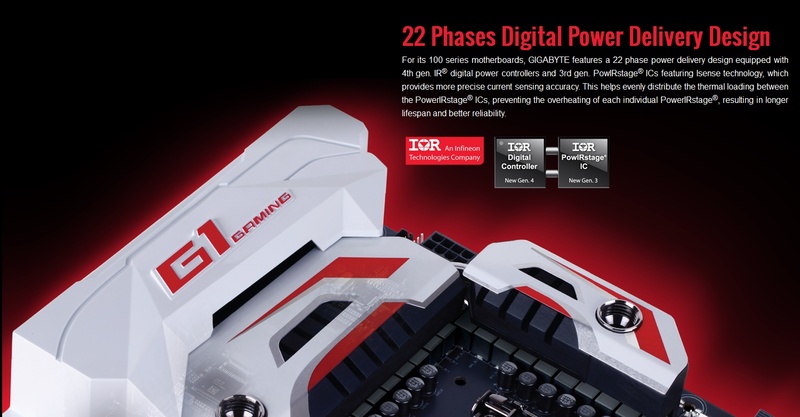 The Gigabyte Z170 G1 Gaming, one of the newest, most awesome motherboards for the spanking-new Z170 chipset. 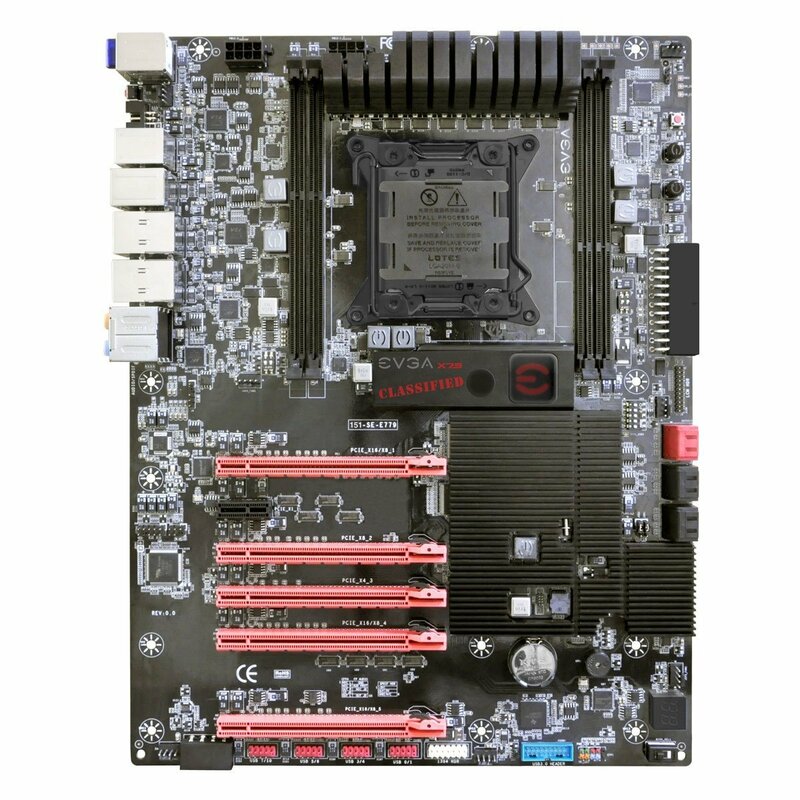 SSI-CEB and SSI-EEB: Standard multi-CPU motherboard form factors for mini-servers and workstations. The SSI-EEB is larger than the SSI-CEB, but most cases will opt for it anyway, which will also result in most SSI-EEB-compatible cases to support SSI-CEB boards. These boards will also normally support mATX, ATX and E-ATX. 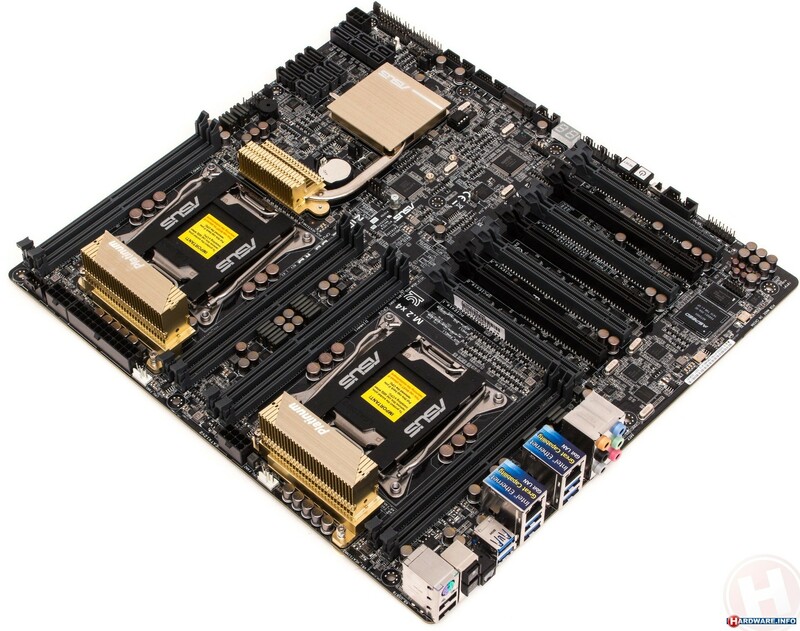 The Asus Z10PE-D8 WS, a dual-socket SSI EEB motherboard. First and foremost, the motherboard has the socket. This is where your CPU goes in. 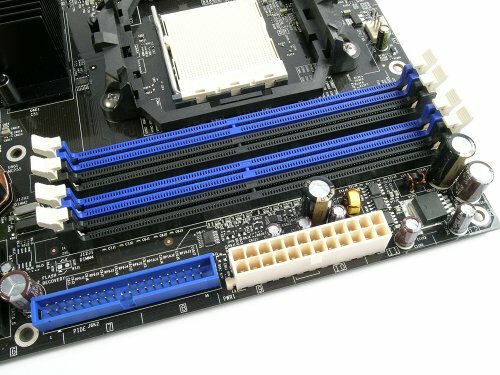 Workstation boards may have multiple sockets. Then, the next most important part is the chipset. VROOM, VROOM! 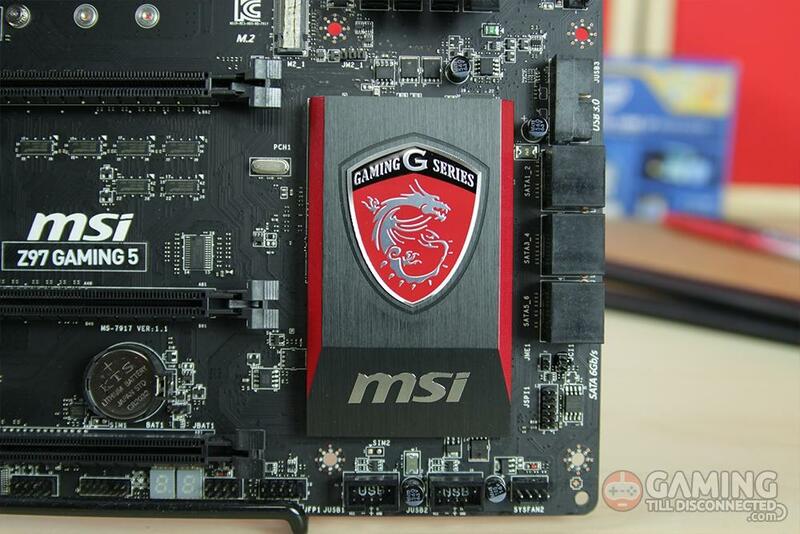 Ok, ok, this is the chipset heatsink on the MSI Z97 Gaming 5. Going onward, we have the I/O area (Input/Output area) where the ports (whether it’s an audio port, USB port, PS/2 port, graphics port, network port, etc.) are located. Normally, an I/O shield will also be provided to secure this into the case. 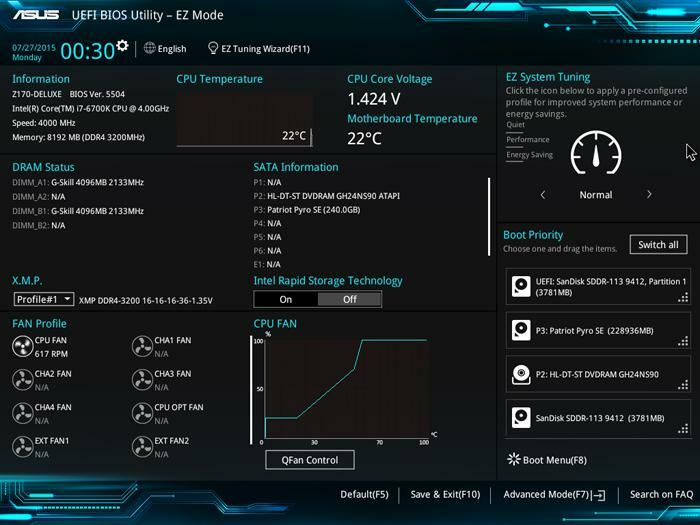 The I/O Area on the Gigabyte X99 Gaming 5P, with gold USB ports, blood ports, ice ports, a heavenly BIOS port, voodoo ports, alien ports and some other ports I can’t quite fathom. Oh, and LEDs, too. Next, the motherboard should also have DIMM slots, where your RAM modules go in. Next is the PCI slots, where your expansion cards go in. 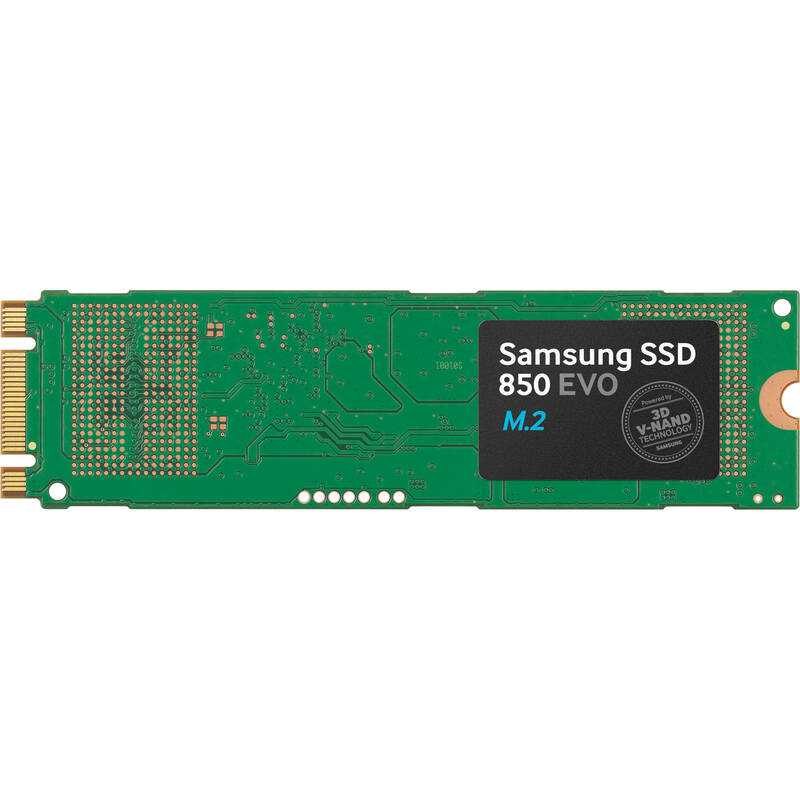 Common expansion cards include graphics cards and sound cards, but there are other more niche expansion cards as well, such as USB 3.1 cards or wireless cards (just a side note: network cards are often not needed these days since most decent motherboards already have very good network chips on them anyway). 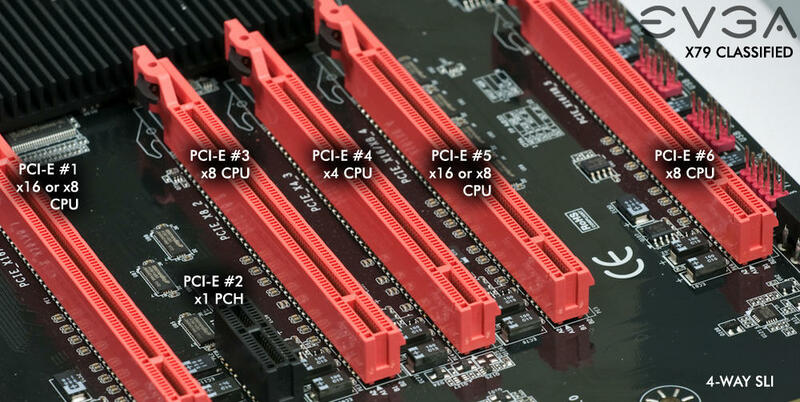 PCI slots have many forms: x1 (normally used for sound cards and other “minor” cards), x4, x8 and x16. Just take a look at all those slots on the aforementioned X79 Classified, my friend! Afterwards, of course, we also have the network chip(s). This is not very prominent but it’s there. Hi-end boards may also use multiple network chips, for whatever reason (like to provide both wired and wireless connection, or just to provide multiple choices). This thing is so obsolete by now… I mean, just look at that green PCB! And that was the best pic I could find! Another very important part of the motherboard is the audio area. This is like a sound card integrated into the motherboard. 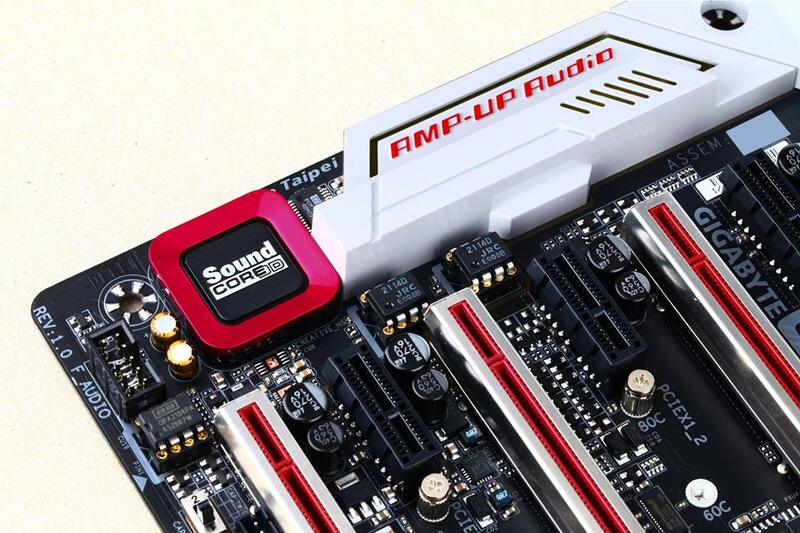 While smaller, older motherboards may only have a simple APU (this time stands for Audio Processing Unit) on the board, most newer boards will have a dedicated area for this, completed with capacitors and Op-Amps and EMI protection and stuff, hence “audio area”. Still not as awesome as a Xonar DX, just trust me. Next, we have the SATA ports, where your hard drives’ SATA cables (NOT SATA power cables) go in. 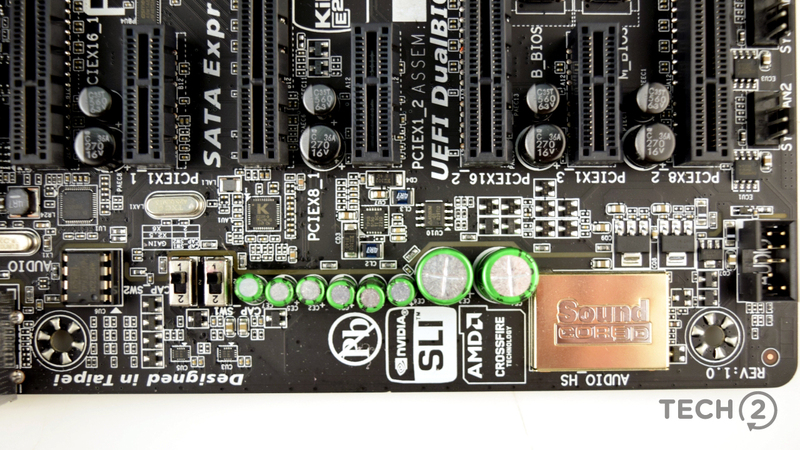 I salute you, sir, if your… not-very-children-friendly videos can cost this many SATA ports! Then, we have the BIOS (Basic Input-Output System). This is where the motherboard stores the pre-OS environment, you can basically understand this as the time before you enter Windows/Mac/Linux/whatever. And last but… perhaps least, we have the heatsinks. These are pretty straightforward and have the mission of radiating the heat from the chipset and other parts of the motherboard. The chipset heatsink should be most obvious, but some boards have very serious “supplementary” heatsinks too. I mean, just look at that huge… ok, ok, enough of this pic! Multiple BIOSes: When one BIOS is not enough, some boards also offer a second or even third BIOS to act as backup, just in case your primary BIOS dies because someone tasered it. Fans: Very serious motherboards also have tiny fans on their chipset heatsink, and some even have fans in other places! 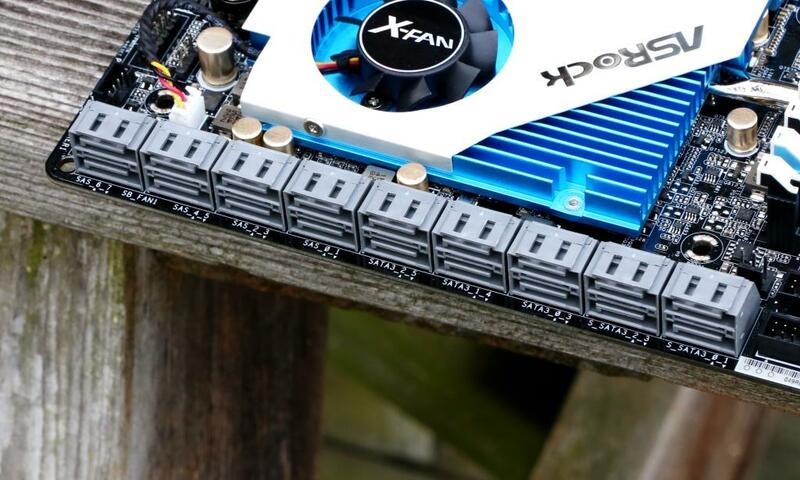 X-Fan, a tiny tweeny 40mm fan on your motherboard! Best fan ever! Hooray! Upgradable Op-Amps and non-Realtek sound processors: Because they know you want a sound card but don’t want to shell out money for a sound card! Still not as awesome as Creative’s Sound Blaster Z with the REAL Sound Core 3D. Just trust me. Ambient LEDs: Because, I can’t stress this enough across my blog posts, everything needs LEDs! 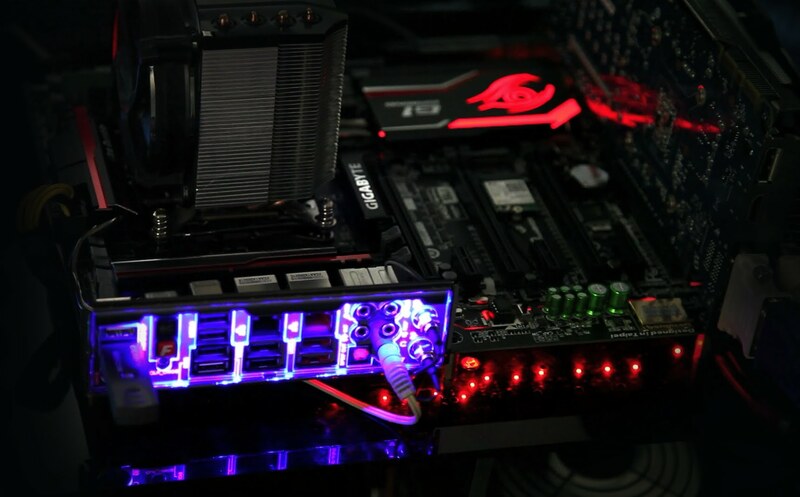 Some Gigabyte boards even have pulsating LEDs and LEDs that follow your music! For a night owl like me, this is a definite must. 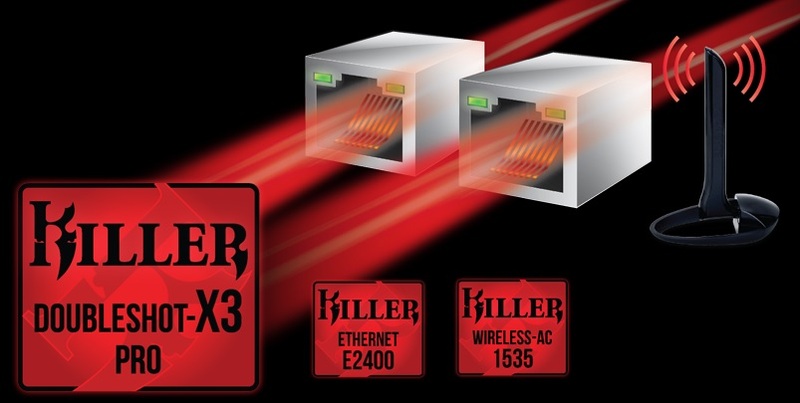 Multiple Killer network chips: Killer network chips are considered the “pro-gaming” chips, as opposed to the “regular” Intel chips. Plus, like I said, some boards have multiple network chips so you won’t have to buy a wireless adapter! We had to put the one in the right in because, man, we went out of things to increase the price, man! 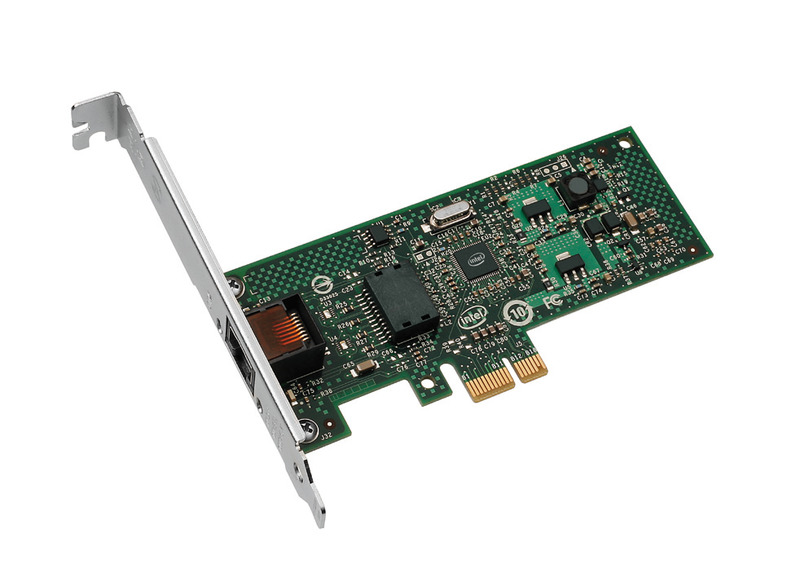 mSATA, SATA Express and M.2 ports: These ports are the “special”, super fast storage ports, which are provided because lately, hard drives (especially SSDs) are quickly approaching the 6Gb/s limit of the SATA 3 standard. Specialized Ports: Some boards have specialized gaming USB ports and such, which have more gold than the regular ports (really, that’s pretty much all there is). There’s simply no such thing as too much gold. Umpteen phases power delivery: Generally speaking, more phases equal more overclocking potential. Motherboard Shields: Because electrical circuits are really ugly! Asus is the one behind most shielded motherboards, by the way. I DID say this is my favorite motherboard, didn’t I? 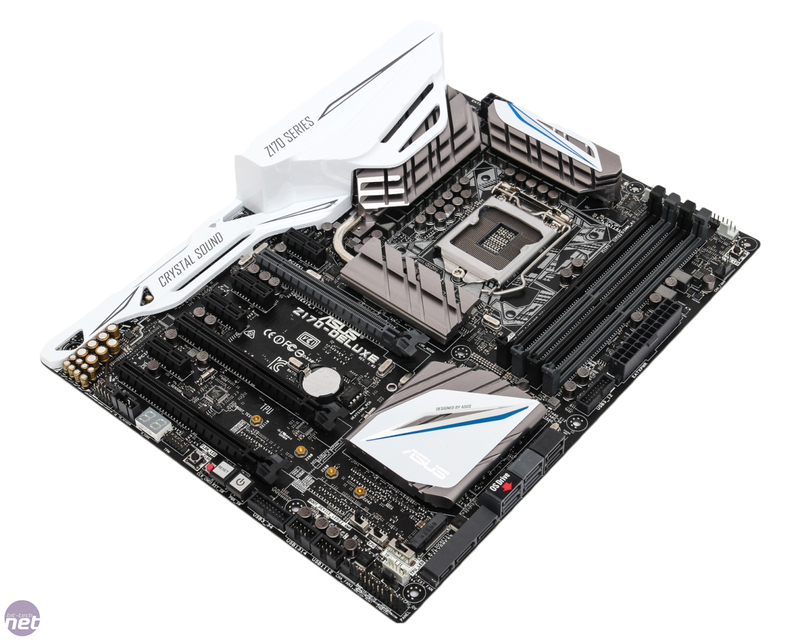 If you are going for a badass hi-end gaming motherboard, look no further than Asus! They are the most popular motherboards brand, as well as perhaps the most popular computer components brand in general. They usually do all kinds of crazy things with their hi-end boards (Z97, Z170 and X99), like the TUF and the ROG series. However, they do have boards for the midrange too. To conclude, as you can see, motherboards can range from the really simple to the truly crazy. Plus, as a final note, motherboards’ overviews are usually the lengthiest and most colorful product introductions of any PC component ever, so they definitely deserve some attention! Well then, happy building, and see you later!